Jamaica is a great place to visit during the winter months of New England. There is a broad range of exciting culinary influences and flavors. 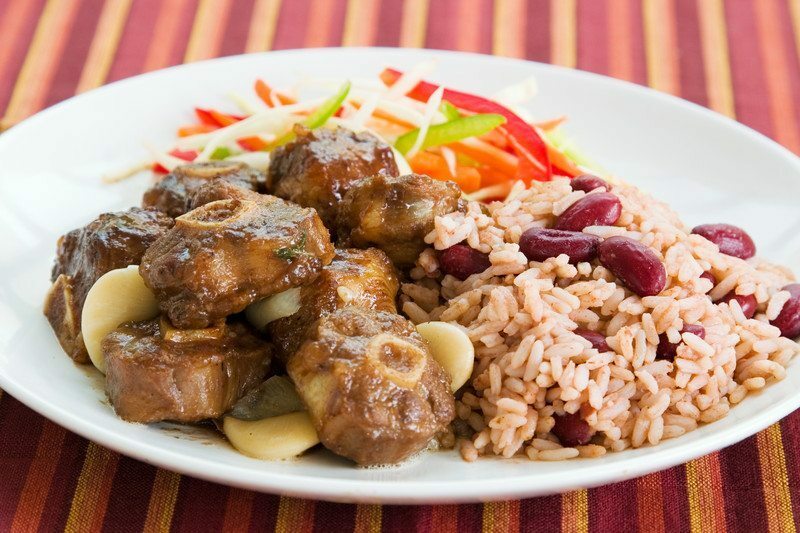 Here are some of the top Jamaican dishes to try next time you travel abroad. This dish is primarily made up of greens and is made throughout the Caribbean, but the Jamaican version is unique. One of the main ingredients is amaranth leaves. This dish is steamed with salt, onions and scallions and is seen as a very plain dish, but once you have tried it, you won’t regret it. This is a starchy fruit that is native to the South Pacific. It is a light and sweet fruit that makes it an excellent addition to any dish. It is often roasted or fried to eat. Some think it tastes a little bit like a potato, but not everyone. It is a common staple of the Jamaican cuisine. Jamaican Rum is known as one of the best rums in the world. Few people will drink it straight up, but don’t fret this is a great liquor to add to Jamaican Rum Punch. Make your own rum punch by thinking about the rhyming ratio “one sour, two sweet, three strong, and four weak.” This is a great liquor also to cook with to a Jamaican dish. This is the national dish of Jamaica. Saltfish can be eaten at breakfast, lunch or dinner. This dish is typically served alongside fried plantains and boiled green bananas or breadfruit. This fish is great served with Ackee, which is a fruit originally from Ghana. It does sound a little funny, but it is a great dish to try when in Jamaica. This stew is usually made with fish like COD or mackerel. The ingredients of this recipe are coconut milk, yam, tomato, onion, and various Jamaican seasonings. This is another dish from Jamaica that is served at any time of day and is served with breadfruit. You typically will see this served at breakfast in Jamaica.